These are the lectures based on the book Al-Mulakhas al-Fiqhi (A Summary of Islamic Jurisprudence) by Shaykh Salih al-Fawzan. This is the weekly Monday evening class on the book Al-Mulakhas al-Fiqhi by Shaykh Salih al-Fawzan. 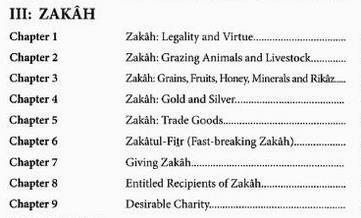 We begin with the Book of Trade Transactions, Chapter 6: Riba. From the book Al-Mulakhas al-Fiqhi “A Summary of Islamic Jurisprudence” by Sheikh Saaleh al-Fawzaan.In this class we continue in the chapter on as-salat (prayer) in the section of the prayer of the traveler. Class of Monday, November 26, 2012. From the book Al-Mulakhas al-Fiqhi by Sheikh Saaleh al-Fawzaan. In this class we continue in the chapter on as-salat (prayer) as-sunan ar-raatibah (the optional prayers prayed right before or right after the obligatory prayers). These prayer are highly recommended, so much so that some of the scholars would not take the testimony of a person who does not pray them. From the book Al-Mulakhas al-Fiqhi (A Summary of Islamic Jurisprudence) by Sheikh Saaleh al-Fawzaan. The book of Salaah. Class of Monday, December 24, 2012. In this class we continue in the chapter on as-Salat (prayer) in the section of The Times When it is Not Permissible to Perform the Optional Prayers. Today we continue with the Chapter of Salah with the section on the Conditions of the Salah (prayer). We cover the condition: Facing the Qiblah. What are some of the ways in which we can determine the Qiblah? Listen to find out. 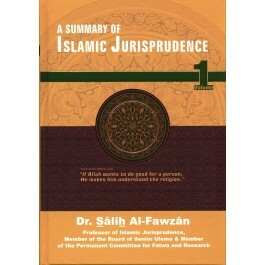 From the book Al-Mulakhas al-Fiqhi (A Summary of Islamic Jurisprudence) by Sheikh Saaleh al-Fawzaan. The book of Salaah. From the book Al-Mulakhas al-Fiqhi (A Summary of Islamic Jurisprudence) by Sheikh Saaleh al-Fawzaan.The book of Salaah. From the book Al-Mulakhas al-Fiqhi (A Summary of Islamic Jurisprudence) by Sheikh Saaleh al-Fawzaan. The book of Salaah: Chapter: That which is permissible to do in the Salaah. 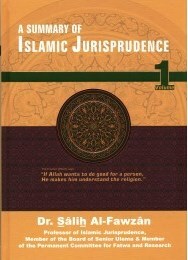 These audios are based on the Book “A Summary of Islamic Jurisprudence (Al-Mulakhas al-Fiqhi)“ by Sheikh Saaleh al-Fawzaan. It is Published in 2 volumes by Al-Maiman Pulishing house. The below two audios are based on the 13th Chapter under “Purification” Section of the Volume 1. In this class we covered al-istihaadhah (irregular bleeding) and its rulings.